Just as I am the hopeless romantic who would transform herself for love, so I am also the solitary skeptic who speaks her truth as she sees it: the Little Sea Witch. 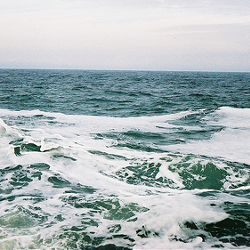 I have always had a fondness for the sea, a feeling of recognition in the churning waves and the tugging tides. Fathomless, containing nightmares unknown, much like the dark depression that burrows in my thoughts; constant renewal and predictable ebbs, the same soothing balance of change and stability my steadfast bones and fluttering heart yearn for. Names are funny things- gifts conferred, whispered hopes, weighty burdens, legacies that cast long shadows. Katrina is a shade bestowed, a storm underestimated, a fable of purity, generations of whispers of the name of a goddess. 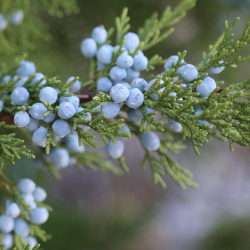 Juniper is an unremarkable shrub in a aged forest, a stalwart tree in harsh landscapes; always surviving, ever in flux to accommodate and adapt. Kat is a choice, that rewards affection with love and irritation with pain. Juni is a smile, the warmth of a hug, the love between friends. Things are not only what they are. They are, in very important respects, what they seem to be. Listen- strange women lying in ponds distributing swords is no basis for a system of government. Supreme executive power derives from a mandate from the masses, not from some farcical aquatic ceremony.